The temple of Wat Wangwiwekaram was built by Luang Por Uttama himself in 2504, with the help of some devotees who were Gahriang (Karen), and Mon tribe people. 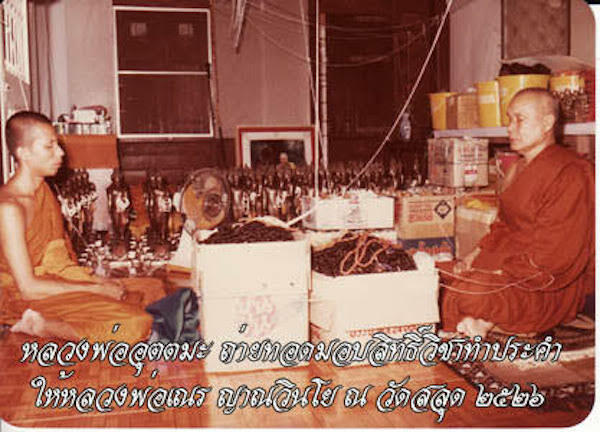 The temple was completed in 6 months, and was at first only a ‘samnak songk’ (sangha office) because it was not yet officially recognized by the Buddhist Organism. Once it had been officially categorized by the Buddhist Organism as a ‘Wat’ (temple) in 2505 BE, Luang Por gave the name of the temple by using the name of the old municipality (wiwangka) calling the temple ‘Wat Wangwiwekaram’. 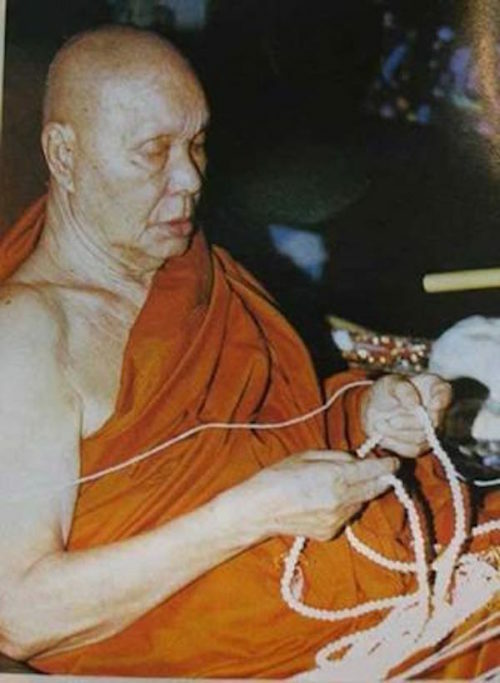 In 2513 BE, Luang Por began building the Uposadha (shrine room/chapel), baking and laying the bricks himself. After this, in 2518, he built a chedi that was a replica of the Bodhgaya stupa in India, wich he finished in 2519 BE. 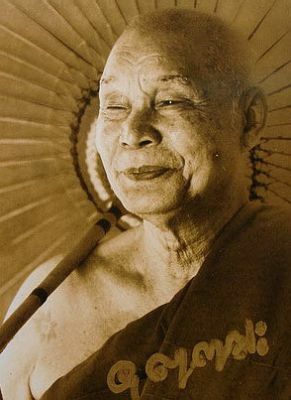 Luang Por Uttama was a highly revered monk of both the Mon Hilltribe and the Thai People, and was known for his extreme diligence in the practices of a renunciant mendicant monk, and for his great purity, and simplicity of living. His devotees revere his amulets with the highest degree of faith. His amulets are varied ranging from sacred powder,, to monk coins, from Takrut and animist talismans, to his most famous blessed rosaries, and all are very rare to come across in any situation. 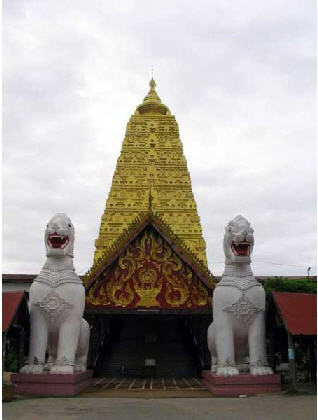 Above pic; The replica of the Bodghaya Chedi Stupa made by LP Uttama at Wat Wangwiwekaram. 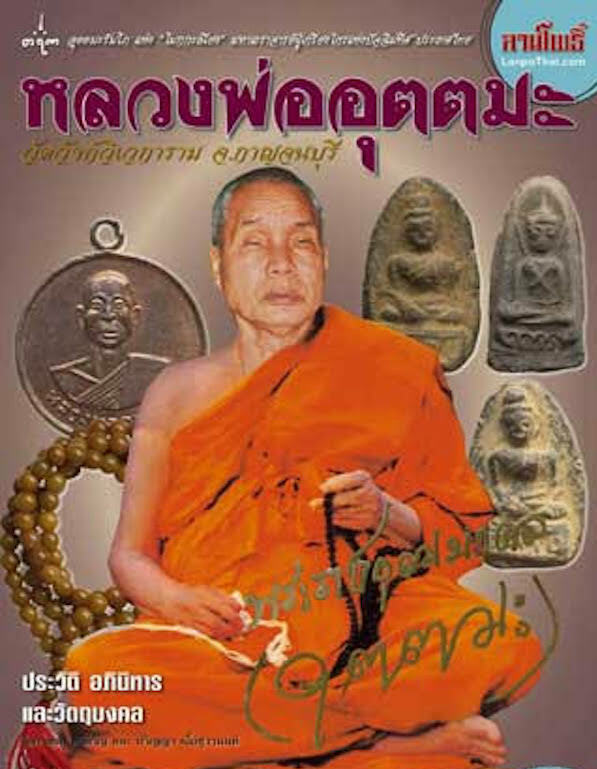 Above; Amulets and Sacred Bucha Items of Luang Por Uttama, featured in National Amulet Appreciation Publication, which covered the life and practice, miraculous achievements, and amulets of this great Buddhist Master.